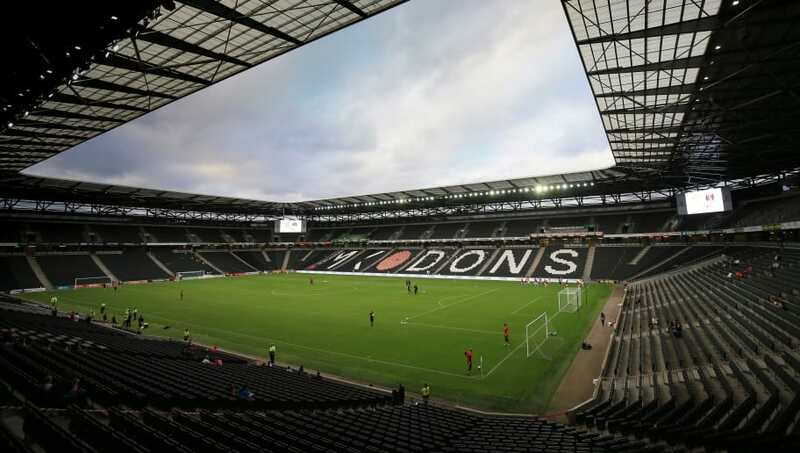 ​The EFL have granted Tottenham permission to play their third round Carabao Cup tie against Watford later this month at MK Don's Stadium MK. With both Wembley and Tottenham's new stadium being unavailable during the week commencing 24 September, Spurs needed a new ground to host the fixture with the Hornets. An EFL Statement on their ​website reads: "At its meeting on Thursday, the EFL Board granted Tottenham Hotspur Football Club dispensation to play their Round Three Carabao Cup tie against Watford Football Club later this month at Stadium MK. We can confirm that the EFL board has ratified our application to host our @Carabao_Cup Third Round fixture against Watford at Stadium MK. The match is scheduled to take place on Wednesday 26 September (8pm). "As a result of Wembley Stadium and the new Tottenham Hotspur Stadium being unavailable during the week commencing 24 September, the Club approached the EFL prior to last week’s draw requesting the Board consider an application to play at a neutral venue in the event they were drawn at home. "The rules of the Carabao Cup provide for the Board of the EFL to consider the home club’s request to play at neutral venues or to reverse the fixture. The decision to grant dispensation takes into account all relevant circumstances facing the home Club at the time the fixture is scheduled to take place. "The Board fully considered Tottenham’s request alongside strong representations from Watford who formally asked the League to play the tie at Vicarage Road. "It was determined that as a result of Tottenham being drawn at home, the tie should be played at the venue of the Club’s request, on the proviso that the visitors will receive a ticket allocation of not less than 10 per cent and Tottenham fund any venue hire costs. "The dispensation granted has been done so on the basis that any future rounds in this season’s Carabao Cup competition are played at either Wembley Stadium as their current home venue, the new White Hart Lane, or at a neutral venue. The Club will not be able to reverse any fixtures in 2018/19, should they progress and be drawn at home in future rounds." ​Tottenham have had issues completing the building of their new stadium and ​reports have claimed they could face another whole season at Wembley before moving back to north London.